Is there a specialist personal injury and accident claim solicitor I can contact online or can call in person to obtain free legal help to decide whether I can claim compensation following an accident in the UK? I am concerned that when I contact a solicitor I will be pressurised into making a claim or paying large legal fees. I understand that following an accident in which you have suffered a personal injury and psychological trauma you will have a serious dip in confidence and the last thing you wish to do is speak to a solicitor confusing you with legal speak. I take a very different approach to accident victims who contact me compared to other solicitors. I will help you as best I can with no strings attached. “Why” – because when I was younger I experienced a significant injury in a road traffic accident so I understand the life changing effect of injuries – however large or small. 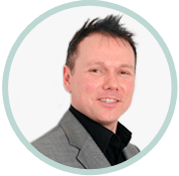 I am happy to speak to you in person on my direct dial telephone number 0161 8346776 or you can click Kevin Bolton Solicitor to contact me online to assess your potential accident claim or provide information so that I can respond to any online questions that you have. One thing you should rest assured about is that after you have had my reply in person or by e mail you will know where you stand and can calmly make a decision as to the best way forward – whether it be using a solicitor to make a claim, making your own accident claim or leaving the matter for a time to decide whether to proceed or not. Although I am based in Manchester city centre I handle claims from all over the UK.